Any commodity which commands a high price in both dealer and open markets is always going to attract certain elements who will look to maximize profits with little or no regard for anybody else. Sadly, diamonds, throughout their history in jewelry manufacture have been no exception. In 2003, to try and combat the rise in diamonds being openly traded to finance several civil wars – known as conflict diamonds – the UN introduced the Kimberley Process. Under the terms of the process, nations must agree to implement a series of regulations governing the trading of diamonds within their borders or overseas territories. In short, these countries agree to ensure that any diamonds being traded across its borders – both in and out – are not being traded to finance any any organisation or entity that is seeking to harm a member country of the UN, are accompanied by a verified Kimberley Process certificate which establishes its provenance, and will not be traded to any non-member of the scheme. Other conditions cover the packaging and transport of diamond consignments, but the intention of the Kimberley Process is to stop the illegal trade at source. Failure by any member country to implement the scheme fully, or to actively monitor its effectiveness, could lead to suspension from membership of the scheme and thereby severely restrict that country’s ability to participate in the global diamond trade. Although not members of the Kimberley Process directly, diamond trade and industry organizations have effected a system of self-regulation to only buy and sell diamonds if the provenance of the stones is fully verifiable and only if the Kimberley Process has been adhered to at every step. Failure to abide by these rules renders the member organization to expulsion from the relevant trade bodies with which it is affiliated. Although the Kimberley Process has helped to reduce the trade in conflict diamonds significantly since its inception, the problem has by no means been eradicated. Allegations by some human rights monitoring services imply that the process is too easily circumvented by those determined enough to do so, with at least one such service withdrawing from the scheme entirely due to their assessment that the scheme fails in its purpose and doesn’t provide sufficient assurance to markets that the diamonds being traded are not conflict diamonds. It is a fact that the vast majority of diamonds traded globally are from 2nd and 3rd world countries, many of which have had, or are adjacent to, civil wars and other conflicts. 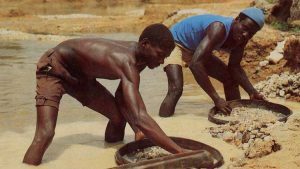 Because of this, the will among the Kimberley Process member states to stop the trade in conflict diamonds will be critical to the success or failure of the scheme. 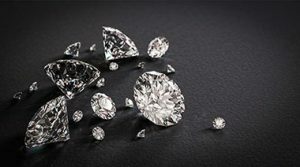 Ongoing criticism of the management of the Process has led to a great deal of negative publicity, with a targeted campaign in Africa showing the devastation directly caused by conflict diamond trading. This campaign led to de Beers, the largest diamond trader in the world, suffering a substantial downturn in revenues on the continent. However, despite the reservations and implied failures of the Kimberley Process, the vast majority of member countries do comply fully with the scheme and take measure to ensure conflict diamonds aren’t traded across their borders. At Estate Diamond Jewelry, we take every conceivable measure to determine the origin of all the diamonds we buy, and fully support attempts to eradicate the trade in conflict diamonds. If we have any doubts about the origins of any diamonds that we are offered, we will simply decline to purchase them. The Kimberley Process may not be perfect, but it is still far better than no certification process at all.